Many of you are in the same boat as I am. There are certain foods you just cant/wont/dont eat. My list includes shellfish, pork, mushrooms (blech!) and red meat (except the occasional lamb for my hubby). However, I choose to focus on what I DO eat - which is surprisingly A LOT! veggies, fish, chicken and turkey! One of my favorite meals is a thick slice of delicious turkey meatloaf. Since everyone is always looking for a healthier alternative to their favorite meals, I wanted to share this as a leaner option for those who love the classic beef meatloaf. Remove cover and bake for another 30 minutes or until when poked, juices run clear. Whats on your list of "wont eat/touch/look at" foods ? This looks like such a great alternative to red meat meatloaf! Love it! 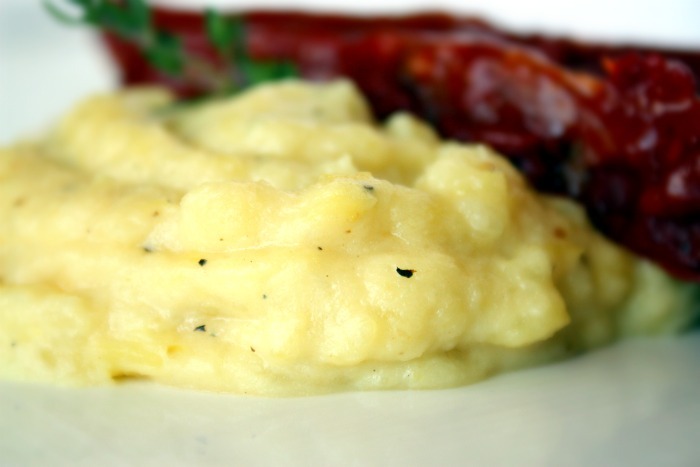 The parsnip puree is genius! My no-way-won't-eat-it food? Beets! Ick! 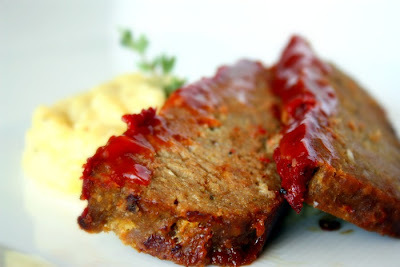 What a great meatloaf recipe! I love your combo! My "wont eat/touch/look at" foods?" @Sandra - all lentils or just a certain variety? I gotta go with asparagus on this one - love them even if they make you smell funny lol..
Yippee! I've got parsnips ready to make the purée like in 30 mins. The turkey meatloaf has to be on our list to do, though. Looks so tasty with the smashing photos. Great idea. 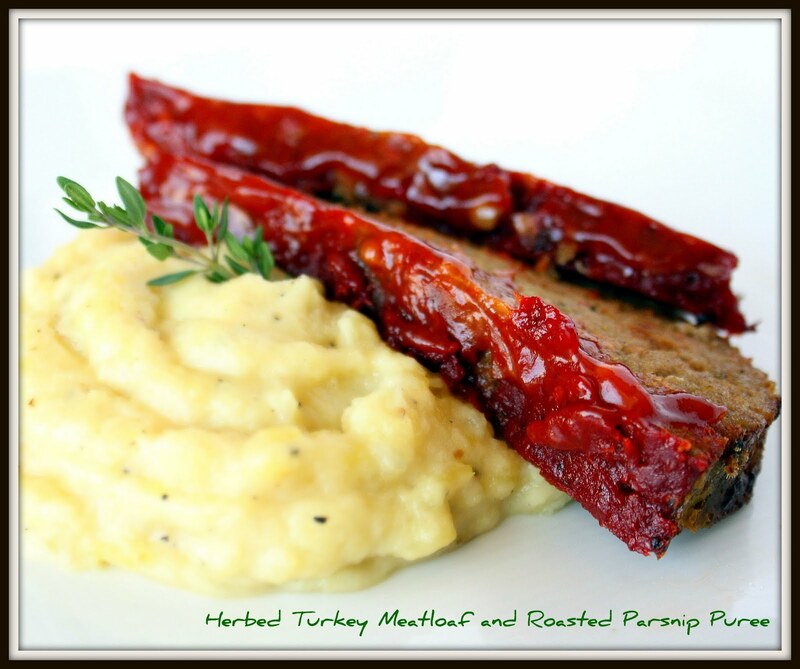 I've been craving meatloaf, so your turkey version jumped onto my radar. It looks delicious - even to those of us who DO eat red meat! I am just like you... there's a lot I won't eat, but I feel like there's a lot that I do eat, too! Looks like a delicious comforting dish without all the fat of traditional meat and potatoes. Oooh love turkey meatloaf! The roasted parsnips sound so interesting. Adding on my list to try. =) This looks like a great meal btw. This is a great, feel good, tasty look recipe!! this sounds great!! 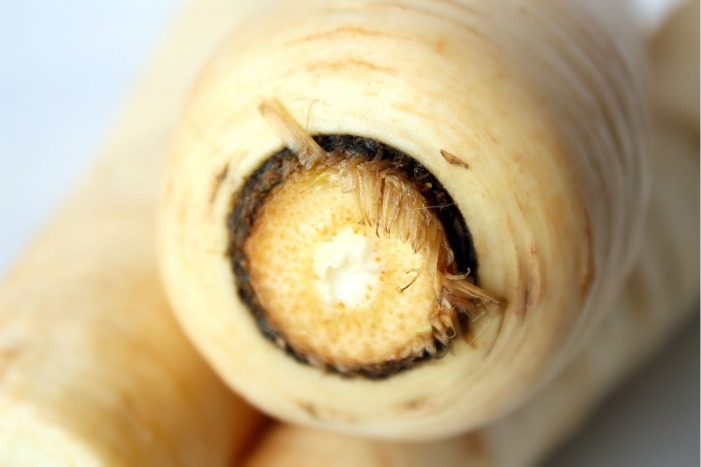 especially that parsnip puree....yummy!! 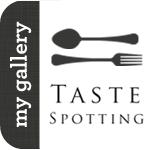 Your photos are so beautiful! I love meatloaf and this is a great recipe to really showcase that meatloaf can be had all year round and not just as a winter comfort food. Love this recipe! We do a lot of turkey meatloaf and burger, too so it's nice to have another great recipe on hand. Parsnip puree is delicious, too, nice alternate to the mashed potatoes. Yummy, thanks!